The VS-801USB is a high-quality 8x1 USB switcher. 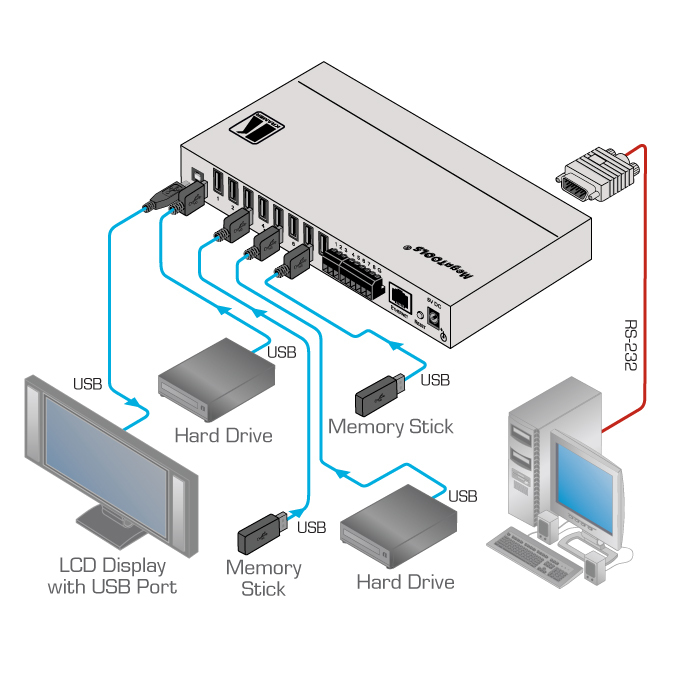 It accepts up to eight USB devices and switches the selected device to the host. Flexible Control Options - Front panel buttons, RS-232 and Ethernet via K-SINGLE control application software, remote contact closure, IR remote (included). Firmware Upgrade - Via RS-232 using K-UPLOAD application software.